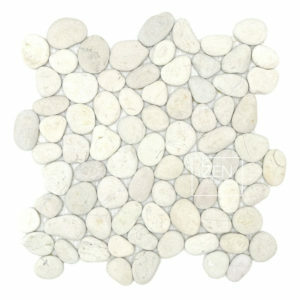 Mosiac pattern of beautiful natural stone. 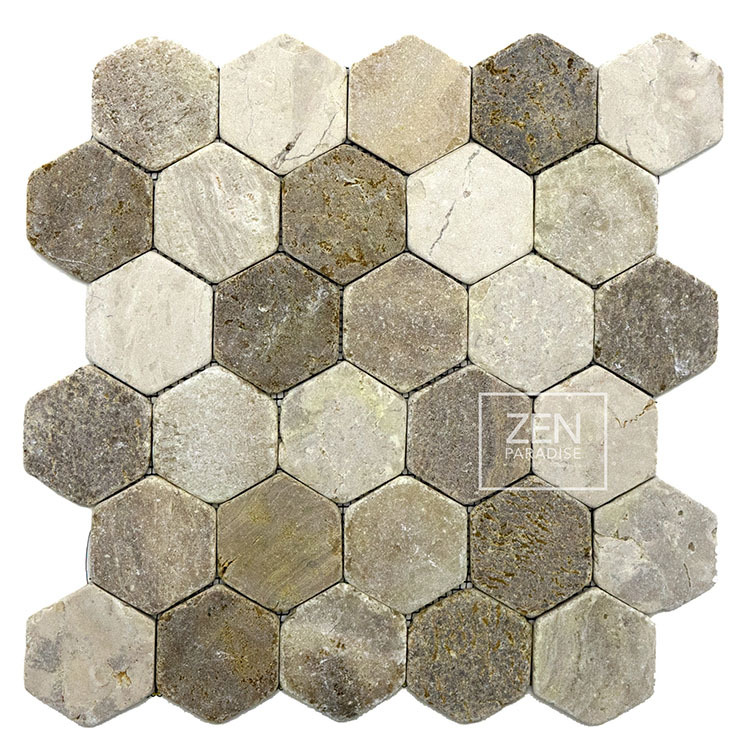 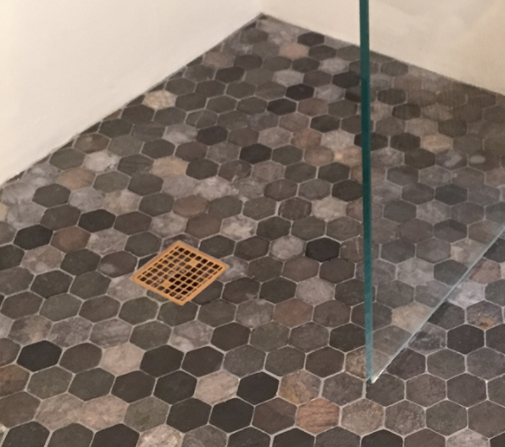 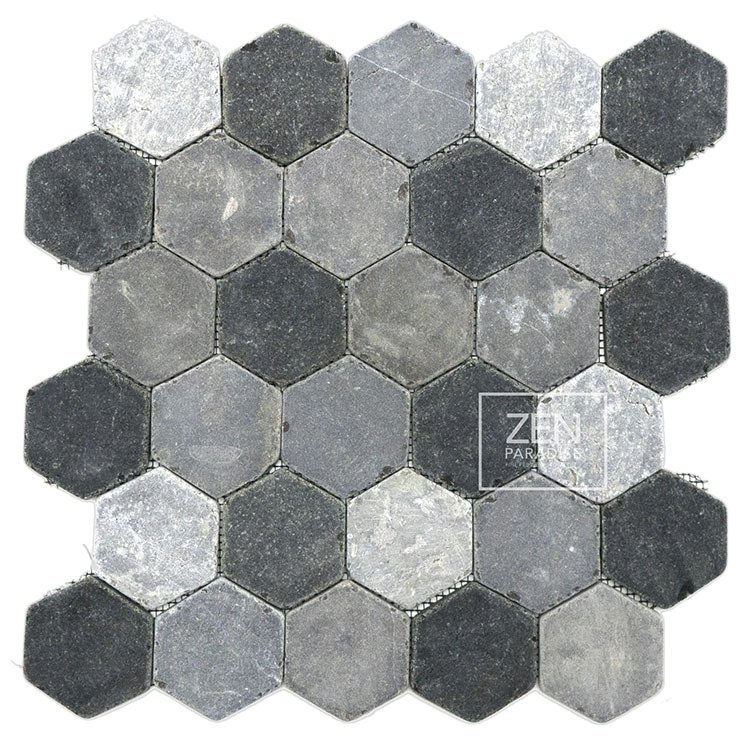 Hexagon tiles use natural stones from throughout Indonesia to create eye catching blends. Individual hexagons are made of onyx, basalt, and marble. These individual hexagon jewels are cut, tumbled and woven into a blanket of beautiful mosaic color. 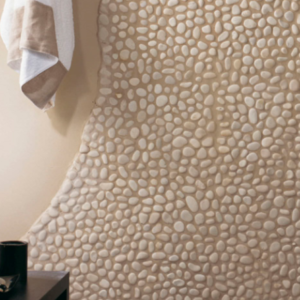 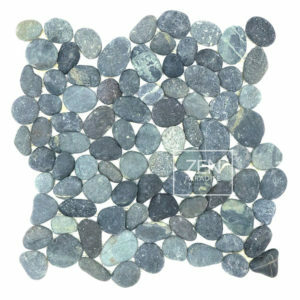 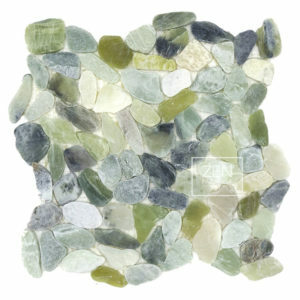 These mosaic tiles beautify bathroom showers, floors, backsplashes, kitchen backsplashes, and feature walls.